In an Australian first, the opportunity to hear about Angelman Syndrome research being conducted overseas was showcased at a scientific symposium at the Royal Children’s Hospital on February 1st. The Foundation for Angelman Syndrome Therapeutics Australia’s (FAST AU) Inaugural Scientific Symposium was a ringing success. 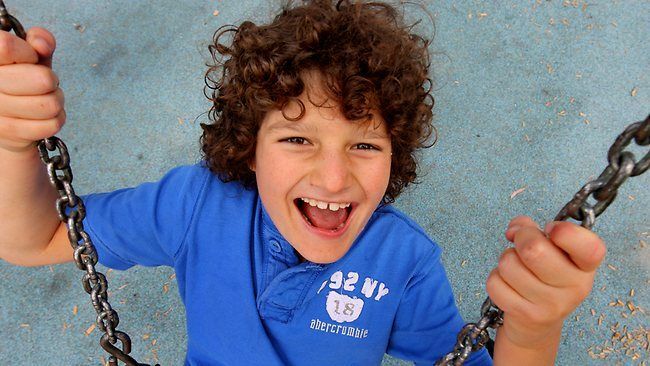 Currently there is no research into Angelman Syndrome (AS) in Australia. Although the AS population in the country is small, FAST Australia has been a powerful force in raising funds to host this symposium and to fund and stimulate AS specific research in Australia. Members of the FAST Australia board hosted a meeting in the afternoon that included members of the FAST Integrative Research Environment (FIRE) team from the United States as well as representatives from Australian’s medical and research community. The meeting was structured to provide those in attendance a more detailed discussion that was aimed at building collaborations between researchers working on AS related projects. The day kicked off with an article run by the Melbourne Herald Sun, “Drug may deliver a better life for little angels” . The Melbourne Herald Sun is a newspaper with one of the largest distribution rates in Australia. The article generated considerable awareness for FAST and Angelman Syndrome. The Symposium began with Dr. Helen Heussler, leading the discussions with the Clinical Presentations of Angelman Syndrome. Dr. Heussler is a developmental pediatrician specializing in sleep and behaviour based at the Mater Hospital in Brisbane, Queensland, and member of the FAST Australia Scientific Advisory Board. Dr. Edwin Weeber, updated attendees on the molecular mechanisms underlying the cognitive disruption in the Angelman Syndrome mouse model and the various approaches his laboratory are taking towards a therapeutic. Dr. Weeber is a Professor at the University of South Florida, U.S.A. in the Department of Molecular Pharmacology and Physiology, and is the Director of the Neurobiology of Learning and Memory, the Cellular Electrophysiology and the Murine Neurobehavior Laboratories. Dr. Weeber presented preliminary results from a U.S. first-phase trial he is conducting using the common antibiotic Minocycline. Dr. Weeber’s preliminary results demonstrate that Minocycline treatment improved behaviour, attention and communication in children with Angelman Syndrome. Dr. Weeber emphasized that the data was preliminary, and that it is important to wait until the current trial is completed to draw any strong conclusions. Additionally, he explained that if the results from the completed trial remain positive, there will be a strong need to conduct larger trials in order to legitimize the use of Minocycline in individuals with Angelman Syndrome. Dr. Weeber detailed the requirements and procedures that would be necessary for expanding the current Minocycline trial in Australia if warranted. Notably, similar efforts to expand the clinical trials are underway in the U.S. Dr. Wen-Hann Tan of Boston Children’s Hospital notes that, “the Rare Diseases Clinical Research Network (RDCRN) is excited about the possibility of conducting a larger trial to explore the efficacy of Minocycline in AS“. Lastly, Dr. Weeber emphasized the importance of compiling more accurate measurement outcomes to use in characterizing the skills and abilities of those with Angelman Syndrome to better capture improvements in future clinical trials for therapeutics. Dr. Weeber is one of the four researchers involved with the FIRE Initiative. FIRE is a coordinated consortium of leading researchers working together to identify, characterize and implement new therapeutics for the treatment and ultimate cure of AS. Evidence strongly suggests that therapeutic intervention can ameliorate many, if not all, of the symptoms associated with AS, which include seizures, severe verbal impairment, cognitive and motor challenges. The underlying cause of AS is the loss of function of the maternal copy of the UBE3A gene. In the brain, the paternal copy of UBE3A is intact, but is epigenetically silenced in most regions. The FIRE team aims to identify new therapeutics to treat AS and associated symptoms while simultaneously identifying ways to safely reactivate the paternal UBE3A allele, which may provide a true cure for this disorder. FIRE researcher Dr. David Segal, is an Associate Professor in both the Department of Biochemistry and Molecular Medicine and in the Department of Pharmacology, as well as the Associate Director of Genomics in the UC Davis Genome Center. Dr. Segal’s research focuses on engineering DNA-binding proteins as molecular tools for gene therapy. He spoke about his lab’s development of Zinc finger-based artificial transcription factors that appear to cross the blood-brain barrier and promote widespread activation of the silenced Ube3a gene in the brains of an AS mouse model. Dr. Segal’s work will be progressing to the next stage of behavioural testing in the mouse model as part of the FIRE Project. FIRE researcher Dr. Scott Dindot is an Assistant Professor at Texas A&M University where he has appointments in the Department of Molecular and Cellular Medicine within the College of Medicine and in the Department of Pathobiology within the College of Veterinary Medicine and Biomedical Sciences. Dr. Dindot presented his work in understanding the cellular and molecular mechanisms regulating genomic imprinting of the AS gene, UBE3A, including the function of the human UBE3A-isoforms and the dissection of elements regulating imprinting of genes within the PWS/AS imprinted domain. Understanding the mechanisms that govern imprinting of UBE3A will provide important avenues to explore for therapeutics to reactivate the silenced gene. Dr. Dindot will be continuing this work as well as participating in drug screening studies as part of the FIRE initiative. 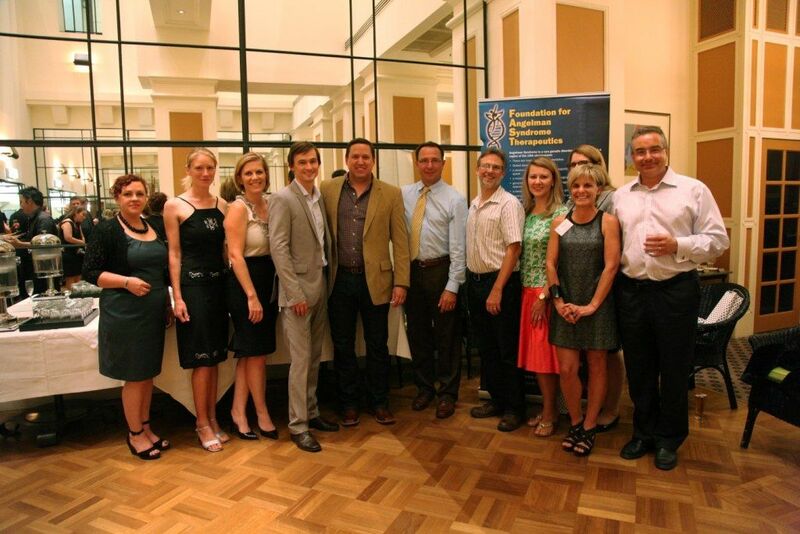 The FAST Australia Symposium also gave families and supporters the ability to participate in an informal discussion and question and answer session with researchers and board members during a cocktail evening in the city. “The cocktail evening was a great opportunity to meet other parents that we had only previously met online. It made everything seem so real, actually being in the room with the people that are making the research happen – this will really happen in our kid’s lifetime” Michaela Townsend, mum to Jake. The first FAST Australia Research Symposium was an enormous success! Australian parents and supporters were given the rare opportunity to listen to renowned researchers discussing cutting-edge research. In addition, FAST Australia accomplished something that prior to this event, seemed insurmountable; bringing together busy researchers and professionals that previously may not have had the time to read the newsletters and research publications into one space to hear about the latest AS research from three of the leading Angelman Syndrome researchers. The Symposium was an effective way to bring both parents and researchers in Australia up to date on Angelman Syndrome research, as well as to encourage and excite them to join the search for a therapeutic for individuals living with Angelman Syndrome.